We plan to replicate and extend unpublished pilot results suggesting that photons to be emitted in the future affect interference patterns detected in the past. This may be a new example of quantum retrocausality (QR), in which choices in a quantum system seem to influence events in the past. This form of QR may be a candidate mechanism for precognition, the psychological and biological access to information about random future events. Quantum retrocausation (QR), in which events occurring in the present seem to influence quantum events in the past, has been actively researched over the past two decades and is considered by many scientists to reflect physical phenomena either within or outside of spacetime. The biological and psychological phenomenon of precognition, which is the accurate anticipation of future events that are not normally thought to be predictable, could potentially be explained or accompanied by QR. QR effects are thought to occur only in non-biological systems and at very brief time scales. However, there is evidence they are present in biological systems. Further, it is possible that QR effects could occur in the second, minute, or longer time scales associated with precognition and daily life. 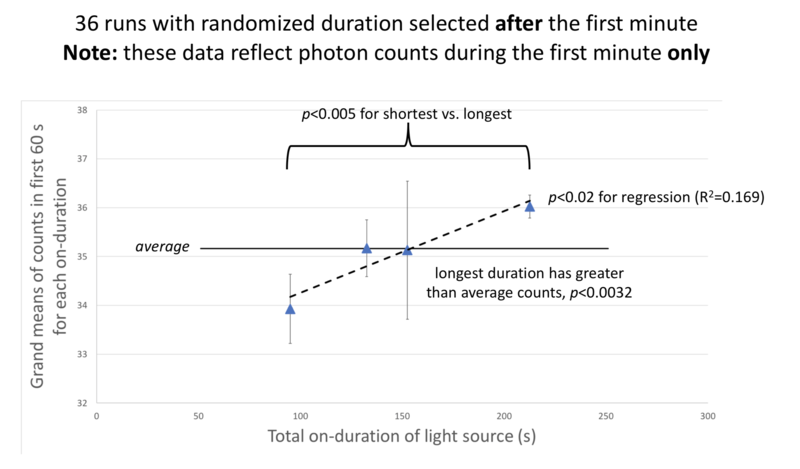 The planned experiments are designed to investigate questions raised by the results of a novel pilot study suggesting that QR can occur in the second-to-minute range for photons. Specifically, we are investigating the hypothesis that photons yet to be emitted may influence interference patterns. If these results are replicated, they could help differentiate interpretations of quantum mechanics (QM). Proponents of both the transactional and two-state vector formalism interpretations of QM assume that what we normally call the past and future dictate what occurs in the present, but they have different assumptions about the reality of retrocausation within spacetime. Further, the results might provide a decent explanation for precognition. We plan to replicate and extend the results of a pilot study. The hypothesis guiding the pilot study was that the duration a light source in a single-photon double-slit system would be turned on in the future influences the interference pattern recorded in the present. This is similar to a precognitive effect, but for photons. The hypothesis was supported by the preliminary results. We plan to replicate and extend the pilot study to better understand the phenomenon. To avoid concerns about multiple analyses, after exploratory experiments are complete, confirmatory experiments will be pre-registered. This is the minimal cost to achieve the experimental aims. Here's why. Equipment: All equipment is necessary to do the experiment. Previously, a shared double-slit setup was used, which did not allow for recalibration by a single PI when necessary. Now we are purchasing a devoted double-slit setup (the bulk of the cost) as well as our own digital multimeter and oscilloscope -- all of which can be used for future studies. We will purchase our own bulbs, table for the equipment, laptop, and Arduino controller. Consultant salaries: Minimal salaries for 2 consultants (Daniel Sheehan and Loren Carpenter) are required to reserve their time for this project -- without these consultants the automation (Carpenter) and insights into interpretation by someone who understands quantum mechanics better than the PI (Sheehan) would not be available. PI salary: PI is on "soft money" and requires salary to set aside time for projects. This project will take about 200 hours spread out over a year. It is very difficult these days for scientists to get grants to explore new phenomena, rather than ones already discovered. Julia's pilot results are intriguing, even if the interpretation is not yet clear. I know she is consulting with at least two academics who have studied quantum mechanics for many years, including Prof. Sheehan. The low cost but high reward in terms of physics knowledge means this experiment should be funded even if you think the chance of success is low. This is an important physics experiment that, unlike many experiments in physics, is relatively inexpensive. If it is successful, it will tell us something extremely important about the nature of time and our current understanding of quantum mechanics. Definitely worth supporting. At each milestone we plan to deliver lab notes with videos and written descriptions showing the results of the milestone. The PI plans to give a presentation about the pilot studies and new results at the Society for Scientific Exploration meeting in June 2019; backers will receive a video of that presentation, assuming it is accepted by the conference. Backers will also receive a pre-print of the paper describing these studies, once it is available (but before publication). Write Lab Note with brief video showing the new system! Write Lab Note with brief video showing the results of the enriched sampling experiments! Write Lab Note with brief video showing the results of the observation rate, location, and time of on-duration selection experiments! 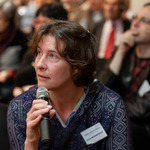 Our team consists of an expert in precognition but a newcomer to QM and QR (Julia Mossbridge), an expert in classical physics, QM, and retrocausality but a newcomer to precognition (Daniel Sheehan), and an expert engineer and newcomer to QM (Loren Carpenter). Together we are well-equipped to address the empirical and theoretical questions posed by these effects. My focus is on teaching and learning about love and time, and I pursue this focus by leading research and tech development projects related to love and time. 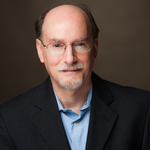 My interest in how time works has led me to examine aspects of both cognitive and perceptual timing (e.g., order effects on reading comprehension, perceptual integration across senses) as well as controversial reverse-temporal effects (covered in ABC News 20/20, Wall Street Journal Ideas Market, Fox News and other mainstream media outlets). I am also the 2014 winner of the Charles Honorton Integrative Contributions award for this work. My Ph.D. in Communication Sciences and Disorders is from Northwestern University, my M.A. in Neuroscience is from the University of California at San Francisco, and I received her B.A. with highest honors in neuroscience from Oberlin College. I invented and patented Choice Compass, a physiologically based decision-making app, and am also the co-author, with Imants Baruss, of Transcendent Mind: Re-thinking the Science of Consciousness (APA Books 2017) and the co-author, with Theresa Cheung, of The Premonition Code (Watkins Media 2018). 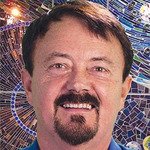 Loren Carpenter revolutionized the entire film industry through inventing rendering and modeling algorithms for image synthesis and visual effects. In 2001 he and two colleagues were awarded the only Oscar statuettes ever given for computer science. He recently transitioned from his position as Senior Research Scientist in Disney/Pixar’s research division to that of an IONS visiting scholar. 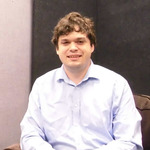 His groundbreaking work began at the Boeing Company where, while pursuing his master’s degree in computer science at the University of Washington, he started experimenting with computer animation as part of an effort to improve the company’s computer-aided design and modeling tools. That work inspired and led to his creation of the world’s first fractally-generated animation piece, a short film titled Vol Libre, which is available on Vimeo. In 1980 he presented the two-minute film at the SIGGRAPH Conference, and his film career took off when the Lucasfilm Computer Division immediately offered him a job. There he further perfected his software to create the fractal planet for the Genesis sequence of Star Trek II: The Wrath of Khan, a visual effect that worked so well it was used in the next three Star Trek movies. His division at Lucasfilm eventually grew into Pixar Animation Studios, where he became the studio’s first Senior Scientist, and where his software algorithms still beat in the heart of every Pixar movie. In addition to his award-winning work in computer animation, Loren and his wife Rachel have explored new concepts in interactivity and computer art through their own company, Cinematrix, Inc. He received his B.S. in chemistry from Santa Clara University in 1981 and his Ph.D. in physics from University of California, Irvine in 1987. 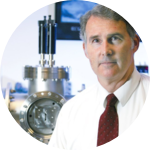 His research interests include exotic plasmas, planetary formation, nanotechnology, and chemical physics. Over the last 25 years he has been investigating theoretical and experimental challenges to the second law of thermodynamics. He co-authored the first scientific monograph on the subject (2005) and also organized the first international conference devoted to it (2002). Over the last ten years he has become involved in the physics of time, particularly retrocausation, the proposition that the future can influence the past. He organized three AAAS symposia on this subject (2006, 2011 and 2016), and plans to host another in 2021. Got the double-slit setup calibrated and running! In the pilot study, the double-slit optical apparatus was run 36 times with the light source at a low enough level to emit a single photon at a time. In each of these runs, a random-number generator was used to determine the duration that the light source would remain on for that particular run (the on-duration for that run). This determination was made 90 seconds after the photomultiplier was turned on. Two dependent variables were calculated: meanFirstMinute and SDFirstMinute. These were the means and standard deviations of the 24 photon counts taken in the first 60 seconds in each run, recorded at a nadir in the interference pattern. Both dependent variables appeared to be influenced by the duration the light source would be on after the variables were recorded. Note that one would expect the interference patterns to differ between runs of different lengths, when they recorded after the full duration of each run. The dependent variables, however, were calculated only using data obtained within the first minute of each run, prior to when the quantum-based random-number generator selected the duration of the run. MeanFirstMinute values increased with on-duration times (Fig. 1, linear regression, R-squared=0.169, p<0.02). SDFirstMinute values showed the same trend: variability increased as on-duration increased (Fig. 2, linear regression, R-squared=0.129, p<0.03). 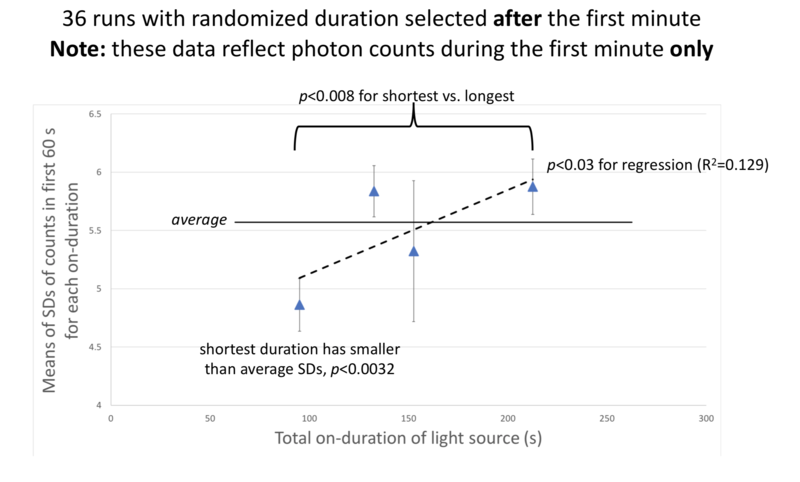 For both dependent variables, significant differences between the longest and shortest durations were also clear (MeanFirstMinute: p<0.005; SDFirstMinute: p<0.008). The only difference in the apparatus between runs at different on-durations was how long the light source would be on after the first 90 seconds; thus both the mean and standard deviation effects were apparently retrocausal. Fig. 1. Mean of the MeanFirstMinute values at each of the on-durations for the pilot study 1. Black line shows average of all the MeanFirstMinute values, to which the data would be expected to conform if the total on-duration of the light source did not influence the MeanFirstMinute values. Fig. 2. Mean of the SDFirstMinute values at each of the on-durations for the pilot study 1. Black line shows average of all the SDFirstMinute values, to which the data would be expected to conform if the total on-duration of the light source did not influence the SDFirstMinute values. An additional 21 runs were performed in which the on-duration was selected by the random number generator after 22 seconds. The trends were similar, but because the on-duration was selected during the time the dependent variables were calculated, these data do not present convincing evidence of retrocausality. However, this second pilot study revealed that periodic recalibration of the equipment is necessary -- a process that was made difficult during the pilot studies as the equipment was shared across experimenters. The proposed experiments eliminate this concern, as a new and solely-owned single-photon double-slit system will be purchased. • Observation rate -- pilot data suggest that the rate at which the photomultiplier records photon counts could influence the effect, so we will run several experiments in which the on-duration remains the same but the observation rate is randomly selected. The transactional interpretation of QM would predict that photon absorption, but not observation, would influence any quantum effect (at least 4 experiments, ~100 runs each). • Observation location -- if these changes are occurring at a nadir in the interference pattern, what is happening at a peak? We'll run several experiments to find out, using the best times to sample on-durations (revealed by 2, above; at least 3 experiments, ~100 runs each). • Time of on-duration selection -- it is possible that effects after the time the on-duration is known are diminished. We'll run several planned experiments to assess this possibility by manipulating on-duration selection time while all other parameters stay constant. The transactional interpretation is not consistent with knowledge effects on the system (at least 4 experiments, ~100 runs each).